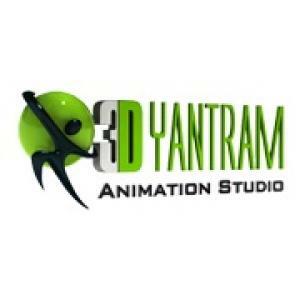 YANTRAM STUDIO, flourished out as a Global Brand in the world of Imagination and designing. Our Studio strongly represents our decade old arduous journey to become a top class renowned brand for 3D designing, an envy to every studio in the CGI world. Since 2004 At YantramStudio, we proudly offer 3D Architectural (Exterior, 2D Floor Plan - Interactive 3D Floor Plan , Rendering Images Walkthrough Animation) 3D Interior Design , Landscape Design Services, Digital Interactive Media Agency, Virtual Reality Application Development (Interactive Virtual Tour), 3D Medical Animation, Sketchup modeling, Augmented Reality Apps Development , Corporate Animated Video Production , Movie and Game Character Modeling and Animation, 360 Degree Panoramic Tour and Product Modeling & Animation. We takes pride in offering the highest quality of Architectural / Entertainment Industry. We integrated Latest touch screen Technology like Wearable Device, Google Cardboard, Oculus and Hand Tracking Services for 3D Game Design Technology.